Dubai is synonymous with glass skyscrapers. The emirate is already home to the world’s tallest tower – Burj Khalifa – and world’s tallest hotel – JW Marriott Marquis. But JW Marriott Marquis today lost its crown of the world’s tallest hotel to its new neighbor – Gevora Hotel. Interestingly, out of the top 10 hotels, Dubai is home to 7 tallest hotel structures in the world. 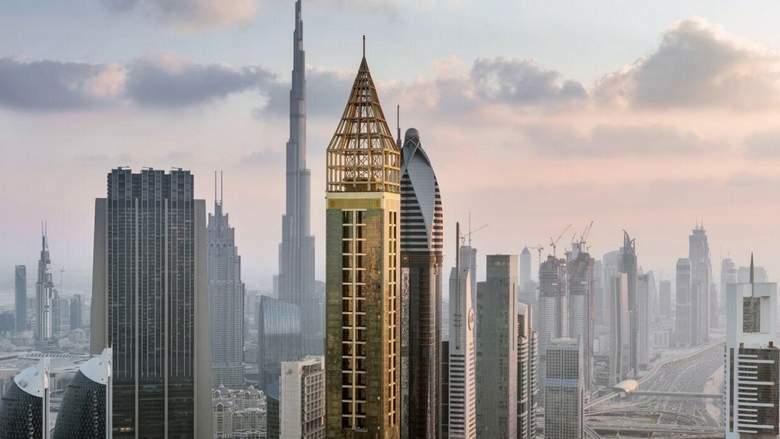 Measuring 356 meters in height, Gevora Hotel is one-meter taller than JW Marriott Marquis and 8th and 9th tallest tower in Dubai and the UAE – respectively. Developed by Al Attar Properties, it’s 11th tallest tower in the Middle East and 35th in the world.